Hey everyone - good morning, the sun is shining and it is a b-e-a-utiful day! There is something about sunshine it just makes me feel so much better all round. Thank goodness it is Thursday - though I am gutted as I woke up thinking it was Friday. Never mind! Anyway, not a great long post for you today because my house is a complete tip! I'm in complete direstraits in my bedroom, I can honestly not see the carpet for products and clothes. Quite disgraceful. I plan on spending the next few hours getting it back into shape as have a busy few days ahead, which include not one but 2 Blogger Events. I will talk about the second in a couple of days as it is on Sunday, however, the first one is tonight! I am attending the launch of Cargo Cosmetics in Aberdeen and I am really excited about it. After departing the UK they are finally back! They are opening a counter in Debenhams. I first spotted these beauties on Grace's blog - 'All that Slap' and was very envious so when I got the invitation to the event I nearly jumped out of my seat! I can not wait to get my hands on some of these little beauties! You can read Grace's review about what she picked up here. Knowing my luck they will have sold out ! Told you it was a short one this morning. Have you bought anything from Cargo yet? If so, please share your links with me, I'll be back tomorrow with a review of the launch :-) Have a great day what ever you are up to - hope the sun is following you about today too. 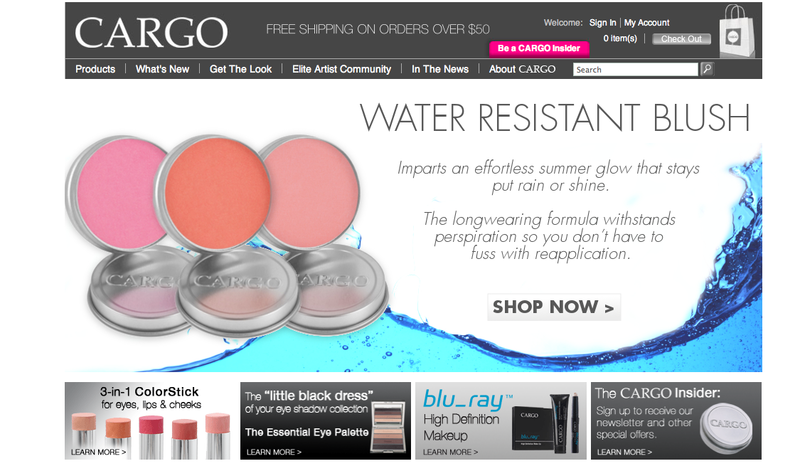 I have a blusher and the bonzing powder by Cargo and love them both. I think this brand is not valued as it should be, they have fantastic products! These look really nice! love the packaging! I really like the look and sound of these. I've tried one of Cargo's mascara's before and I really liked it, so I'd like to try more of their products! They are looking great. Will be eagerly waiting for more. I like those 3-in-1 color sticks! Have a great weekend.